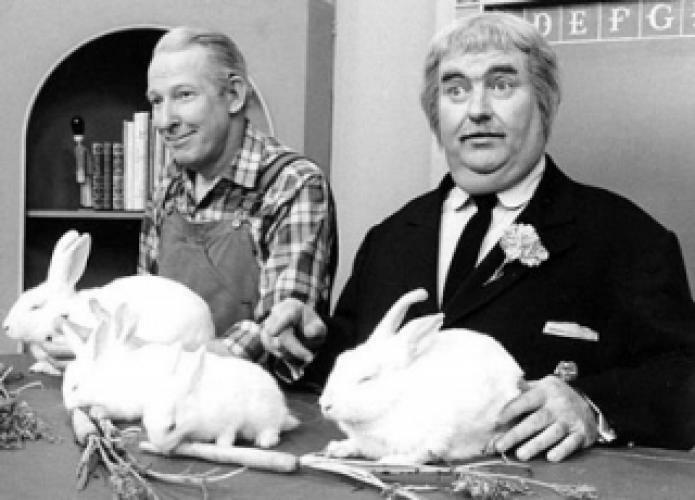 When will be Captain Kangaroo next episode air date? Is Captain Kangaroo renewed or cancelled? Where to countdown Captain Kangaroo air dates? Is Captain Kangaroo worth watching? Captain Kangaroo is an American children's television series that aired weekday mornings on the American television network CBS for nearly 30 years, from October 3, 1955 until December 8, 1984, making it the longest-running nationally broadcast children's television program of its day. In 1986, the American Program Service (now American Public Television, Boston) integrated some newly produced segments into reruns of past episodes, distributing the newer version of the series until 1993. The show was conceived and the title character played by Bob Keeshan, who based the show on "the warm relationship between grandparents and children". Keeshan had portrayed the original Clarabell the Clown on The Howdy Doody Show when it aired on NBC. Captain Kangaroo had a loose structure, built around life in the "Treasure House" (later known as "The Captain's Place") where the Captain (the name "kangaroo" came from the big pockets in his coat) would tell stories, meet guests, and indulge in silly stunts with regular characters, both humans and puppets. Keeshan performed as Captain Kangaroo more than 9000 times over the nearly 30 year run of the show.The show was telecast live to the East Coast and the Midwest for its first four years and broadcast on kinescope for the West Coast, as Keeshan would not perform the show live three times a day, and was in black-and-white until 1967. The May 17, 1971 episode saw two major changes on the show: The Treasure House was renovated and renamed "The Captain's Place" and the Captain replaced his navy blue coat with a red coat. In September 1981, CBS shortened the hour-long show to a half-hour, briefly retitled it "Wake Up with the Captain", and moved it to an earlier time slot; it was later moved to weekends in September 1982, and returned to an hour-long format. It was canceled by CBS at the end of 1984. Captain Kangaroo next episode air date provides TVMaze for you. EpisoDate.com is your TV show guide to Countdown Captain Kangaroo Episode Air Dates and to stay in touch with Captain Kangaroo next episode Air Date and your others favorite TV Shows. Add the shows you like to a "Watchlist" and let the site take it from there.